Union pledges safeguards in place to prevent future problems. UAW President Dennis Williams told members that new safeguards will prevent future attempts to steal from training funds. The scandal-ridden UAW-Chrysler National Training Center has filed a civil lawsuit against a former Fiat Chrysler Automobiles N.V. executive and the widow of United Auto Workers leader in a bid to claw back millions of dollars they embezzled from the NTC during the years. 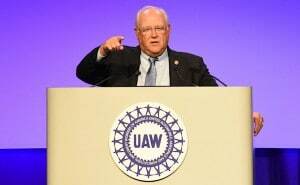 Dennis Williams, the UAW outgoing president, also took aim at the theft of the joint funds during a speech on the opening day of the unions Constitution Convention. The lawsuit over the stolen joint funds comes nearly a year after the disclosure of federal criminal investigation that resulted in a half-dozen indictments as well as guilty pleas by key targets of the probe by the U.S. Department of Justice and U.S. Department of Labor. Alphons Iacobelli, former FCA vice president of labor relations and Jerome Durden, a former FCA financial official, were participants in crimes against the NTC. Their conduct not only victimized the NTC but also has resulted in indictments and convictions for violations of federal laws, said Shawn Fain and Tom Rolands, co-directors of the NTC in a statement announcing that the lawsuit had been filed in Oakland County Circuit Court outside Detroit. The lawsuit also names Susanne Iacobelli, Alphons Iacobelli’s spouse, and Monica Morgan, the widow of the late General Holiefield, former head of the UAW Chrysler Departments as defendants. Iacobelli, Morgan and several of their assistants are accused by the DOJ of siphoning off millions of dollars in training funds for everything from mortgage payments on home in suburban Detroit, to a used Ferrari, lavish gifts and high-end entertainment, using NTC credit cards. 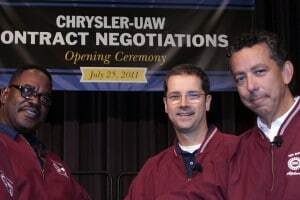 The scandal has been particularly damaging to the UAW, which has seen its reputation and credibility undermined and put the UAW’s leadership on the defensive as the struggle to deflect the fallout from the scandal. Williams, who is scheduled to leave office this week, defended the UAW’s actions by noting new dues money was never involved. He also said the joint training programs, despite the millions of dollars embezzled over the years, have still benefited union members who have received critical training through the NTC. The fallout from the UAW-FCA training fund scandal continues as new lawsuits are filed. However, Williams also said the union faced challenges in uncovering the scandal because it did not have access to the NTC’s financial records during Holiefield’s tenure as director of the Chrysler Department. Fain and Roland said in a statement that the NTC has taken a number of steps to ensure this type of illegal activity will not be repeated. Some of the actions include imposition of stringent internal accounting controls adoption and strict enforcement of new expense policies and the hiring of an independent accounting firm to audit the NTC’s financial statements. In addition, the NTC has hired an in-house controller along with new personnel in various position of leadership to improve oversight of the center. 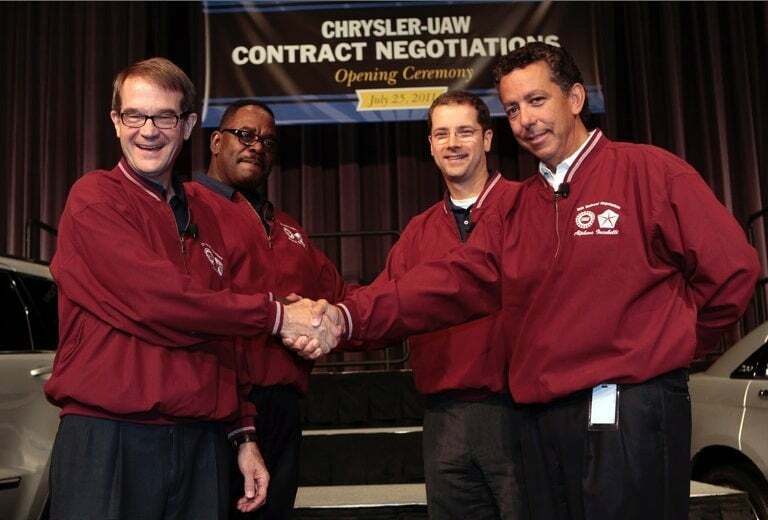 Under the terms of the UAW’s labor contract with FCA, The NTC is a joint effort betwe9en the UAW and FCA to provide education, training and re-training of FCA employees. 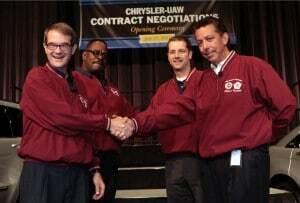 The NTC was first organized in 1985 through contract negation is government four appointed by the UAW and four appointed by FCA. Ford and General Motors also have joint training centers staffed by company and union representatives and administered by jointly appointed boards. The joint UAW-GM fund built a lavish headquarters on the Detroit River, while Ford training center has acquired a prominent spot next to Detroit’s convention center. This entry was posted on Tuesday, June 12th, 2018 at and is filed under Automakers, Business, FCA, Financials, Leaders, Markets, U.S./North America, UAW, Union. You can follow any responses to this entry through the RSS 2.0 feed. Both comments and pings are currently closed. It’s a whole lot of names that I’m about to give to the FBI about the UAW stealing money and I’m going to tell them how they did it. Paul Ciucci, David Edgar, Dennis Kucinich. Brain King, all stole money from the company for years. They also bought property with this money all you have to do is follow it I’m giving you the name. Warren Stamping plant in Warren Michigan. They also were selling Grievous’s and wrongfully discharged and employees by setting them up with labor relation. Others Jack Sanders, Willie Wilson were caught red-handed by the company stealing time from the corporation by punching in while they weren’t at work. We allow this comment to go live reluctantly as there is questionable evidence pointing to any of those folks named here. We would request further comment and, if there is such, evidence. Otherwise, we will assume innocent unless proven guilty.